Corrosion is one of the most important marine difficulties that cause long term problems, occurring in ships and submarines surrounded by a corrosive environment when coupled with chemical, temperature and stress related conditions. Corrosion of marine parts could lead to severe disasters. Coatings and heat treatment in a very effective way could be used to protect the aluminium parts against corrosion. 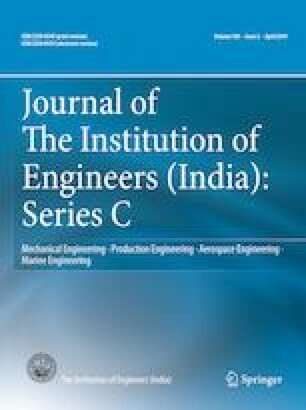 The present case study focuses on the corrosion and microstructural properties of TiCN coatings fabricated on Al-7075 aluminium alloy substrate by using Physical Vapour Deposition technique. Corrosion properties of specimen’s heat treated at 500 °C at durations of 1, 4, 8 and 12 h were tested through salt spray test. According to D-1193, ASTM standard, corrosion resistance of coated and heat treated Al-7075 samples were investigated in solution kept at 95 °F with a pH of 6.5–7.2, with 5 sections of NaCl to 95 sections of type IV water. The specimen’s heat treated for 1 h showed positive corrosion resistance, while the specimens treated for longer durations had the opposite effect. The microstructures of the salt spray tested coatings were investigated by scanning electron microscope. X-ray diffraction tests were conducted on specimens to determine the atomic and molecular structure of the surface crystals and the unit cell dimensions. The corrosion mechanisms of the coated specimens under the heat treated conditions have been explored.